This topic contains 13 replies, has 8 voices, and was last updated by Bernhard Hortens 1 year ago. 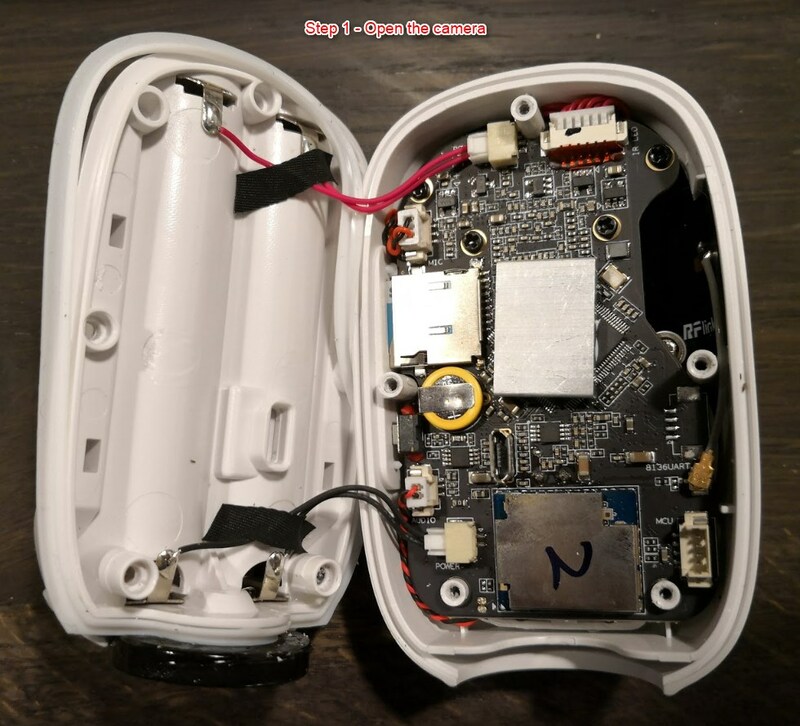 I just want to share my guide showing how to use 16650 batteries in your Reolink Argus camera. I have decided to do this as i am getting tired of charging my RCR123A batteries way to often. Don´t blame me if something goes wrong and your camera is destroyed or any other bad things happen. This is not something Reolink have recommended so your warranty is most likely gone after doing this. Anyway, a 16650 has the almost the same dimensions as two RCR123A. As the camera uses two RCR123A in series, you of course need higher voltage than a single 16650. The solution is to set the two 16650 in series. See my guide to see how I have done this. I have decided to open the camera, move two wires and solder on a new one. You could do the same without opening the camera by using tape and a wire but this looks better and is more robust. I use Sanyo batteries, rated at 2.500 mAh. I have not yet tested how long time the camera will last in this configuration but I will update the post once I know it. And Reolink, why on earth have you decided to use 4 CR123A batteries instead of two 16650 – or even better – two 18650? I just don´t get it. I agree, Reolink picked the most expensive battery combination possible. As you have shown, there are better options out there. Are you listening Reolink? @jc — thanks for sharing your nice mod. I’d also be interested in hearing from the design team as to the battery choice. What was the total cost for this mod and where did you purchase the items from? Total cost? As you see, it’s just a piece of wire. Around $0.001 I guess ? the batteries are dirt cheap on eBay, but I bought them local to speed things up. I paid $12 for two batteries. 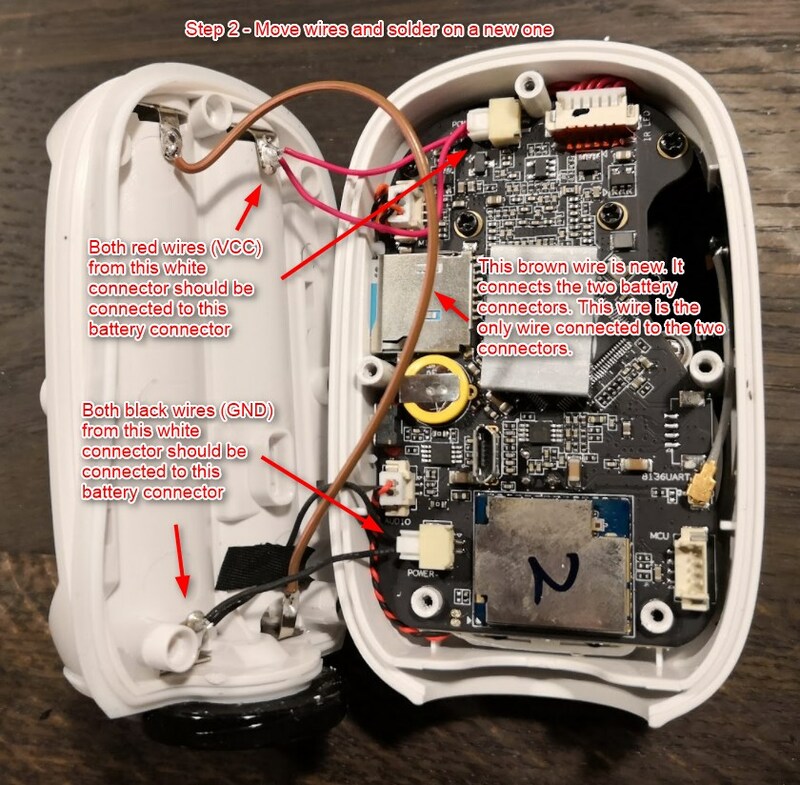 Hi @jc, thanks for the guide..
is there any adverse effect if I do not connect the 2nd black wire to the battery connector? At the moment it seems to be working well though. This reply was modified 1 year, 3 months ago by ray0006. 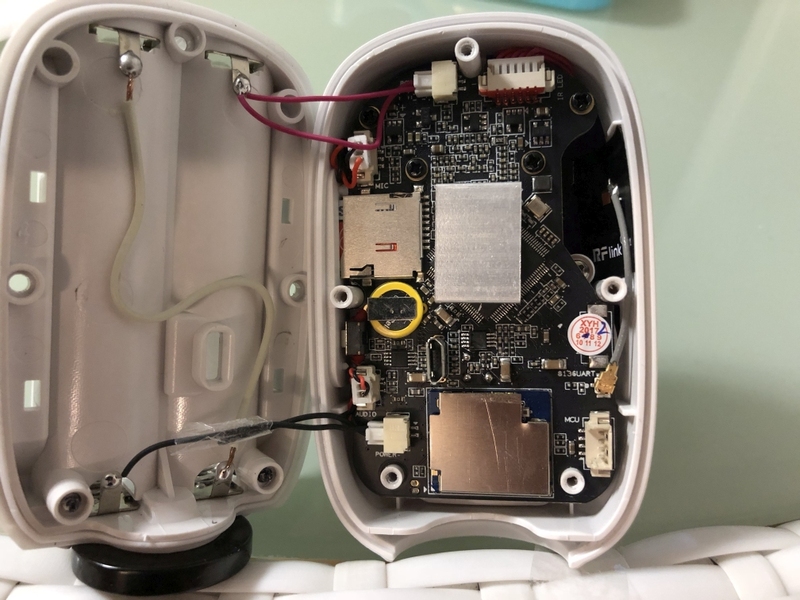 Actually, after making the guide, I made a few measurements, and they do share a common ground, so I found no need to connect both wires to ground. thats great news for me, haha, thanks! Its working very well now! Great mod, will try it soon! Looking at the dimensions of the batteries, I guess protected 16650 should work as well? Does anyone have a good recommendation for those? This reply was modified 1 year, 3 months ago by Bernhard 76. Hi forgive me I’m not the brightest.. why do you need to rewire the camera to take the 16650 batteries would it not just be a straight swap? In the camera you have two sets of two batteries in series. 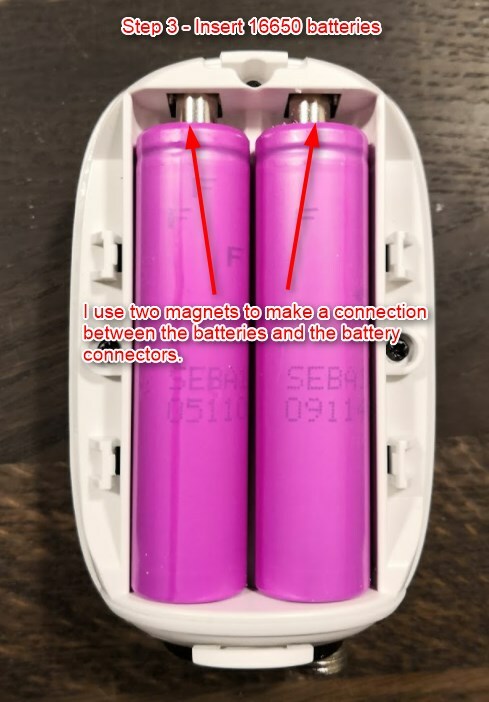 Following my modification, you will have one set of two batteries in series, hence getting the correct voltage. gp disposable 1300mah batteries = 275min triggered, over 53 days. aw rcr123 batt 750mah = 80min triggered, over 30 days. klarus rcr123 batt 700mah = 103min triggered, over 34 days. sanyo 16650 batt 2500mah = 237min triggered, over 59 days. Well…I finally got around to make the mod on my two cameras. The first camera unfortunately showed only a black screen in the app after booting up – firmware reset was a mistake, since it won’t recognize the QR code for it’s setup. Sigh. The second one worked just fine. So, success rate of 50% – or does anyone have a good idea? P.S. : Either I missed it in the guide or this might be helpful: unclip the white clips holding the wires from the motherboard, that makes the soldering easier. Reattatching is easy!